With more than 2.5 million blog posts being published on WordPress alone each day and 3.2 billion images being shared on social media, it’s clear that brands recognise the importance of content marketing. Despite this though, only 52% of businesses describe their content marketing efforts as “moderately successful” (Smart Insights) and a mere 20% say they have a “very successful” content strategy. In our latest expert interview, our head of content, Joanne Littlechild, explores the current content marketing landscape and explains why data is the key to creating content that stands out from the crowd. Q1: What are the biggest challenges facing content marketers today? “The biggest challenge is getting results from content. Just about every brand is publishing on a regular basis these days, so it’s difficult to get your content seen, let alone clicked and engaged with. 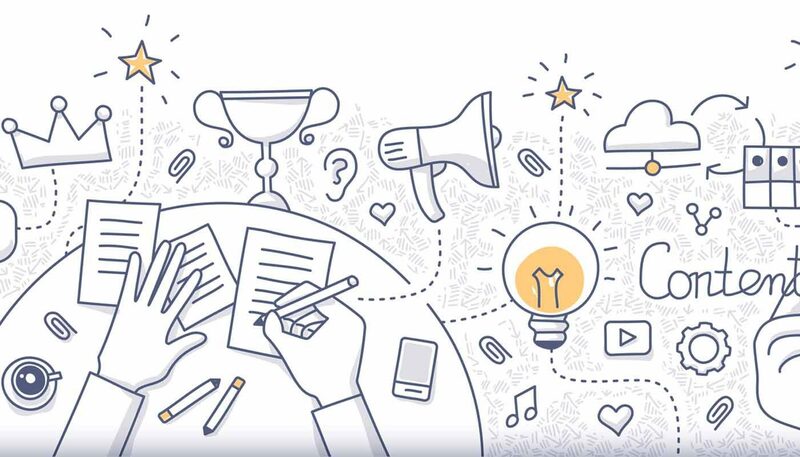 “Content marketers need to know what kind of content their audience is going to engage with and what kind of narrative or messages are going to turn that engagement into valuable actions, but many are still using guesswork. “Lots of brands are struggling to create content which captures audiences/customers and makes them want more, but this is where data insight can help. Q2: A recent study reveals 91% of content receives no traffic from Google Search – what are marketers doing wrong? “I think the problem is due to the kind of content brands are producing. People turn to search engines when they need something or need to know something. Content marketers have an opportunity to provide this information, which starts with knowing the biggest problems your target audience faces and what they’re searching for. “A lot of content marketers also underestimate the value of major publications. A piece in The Times without a backlink is just as valuable as a piece with a backlink on a site with lower authority. It’s about getting a balance of appearing on sites with good authority, gaining backlinks and creating content which provides answers to questions people are searching for. Q3: A separate study from Advanced Web Ranking shows 65% of marketers say link building is their most difficult SEO task – how can they make it easier? “By understanding the type of content and the topics that will be of interest to individual journalists and the outlets they write for. Pitching ideas, engaging journalists, bloggers and outlets in conversation so you provide the stories that are valuable to them. “It’s about finding a hook to what an editor or a particular publication is looking for. In the same way you need to understand your audience, you also need to understand the publications that talk to that audience, and the kinds of things they like to promote. “Every other brand and link builder is trying to reach out to the same influencers and platforms, based on the volume of their profile. It isn’t a scalable model and has diminishing returns as it becomes harder to cut through the noise. 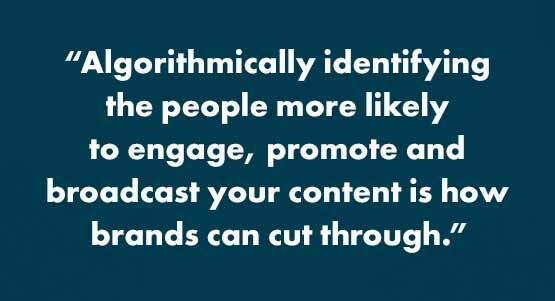 Algorithmically identifying the people scientifically more likely to engage, promote and broadcast your content is how brands can cut through. Q4: Backlinks and traffic are great but they’re not profitable in themselves. What are content marketers really trying to achieve? “Content marketers really need to build a strong brand that resonates with audiences at every stage of the customer journey. “The goal is to achieve brand awareness with your target audiences when they are researching and considering, and then when they’re ready to make a buying decision. They may move across multiple channels, so you want to be there every step of the way, providing information and engaging them in your brand ethos and values. “You have to get under the skin of how your consumers move through the stages of the customer journey so that you can develop content that aligns with them, and it needs to appeal and inspire. Q5: How can marketers prove their content is making an impact and contributing to conversions, sales and other goals? “If you know what you’re trying to achieve at the outset, you can go on to assess how successful your content is. We set clearly-defined objectives before we do anything else, this way we can measure results. “We use a five-Ps framework for content marketing, and we think this is the best way to think about content for marketing. It also scales well. All content is about people – you are talking to individuals, and you need a purpose. Planning is essential, as is working in partnership with stakeholders, writers and publishers. Finally, promotion is an essential element of the publishing process. “At the heart of all these elements is data – data for planning, data for identifying opportunity and data that tells you whether your content is effective. Q6: What kind of content is making the most impact for Vertical Leap customers right now? “Data-driven content is getting the best results for our customers right now and we don’t see this changing anytime soon, even if the topics and formats evolve over time. Data allows us to better understand what our clients’ customers are looking for and to develop outputs which meet these needs. 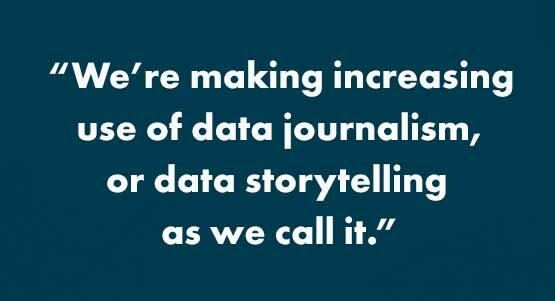 “We’re making increasing use of data journalism, or data storytelling as we call it; using visual elements like graphs, charts and infographics to illustrate a key message or narrative in a more eye-catching way. This allows us to present a story in a different way, and appeal to wider audiences. “Content hubs – sources of collated, branded content related to a specific subject – are also working well at the moment. They provide a range of content on a topic in a variety of forms, led by data from Apollo Insights. They are a really valuable resource for consumers. Q7: Content tends to have a short lifecycle. Are there ways to make sure old content keeps getting results? “Yes, if you regularly review it to see if there’s more it could be doing for you. We review content regularly through content audits, which enable us to decide which pieces we should keep, which require attention, which perform well and any that could be improved. Q8: What will Vertical Leap’s content marketers to be doing differently in 2019? “We are already developing, in Apollo Insights, methods for identifying strengths and weaknesses in content, and classification models to enable us to group content by type or theme. We will be using algorithms more to analyse content for various factors – word count, structure, keyword presence, article type and more. With this kind of algorithmic analysis, we will be able to easily see what works well and what doesn’t in different situations. “With millions of search queries and web pages in our database, we have a wealth of data against which we can seek out content opportunities. Got a question about content marketing? 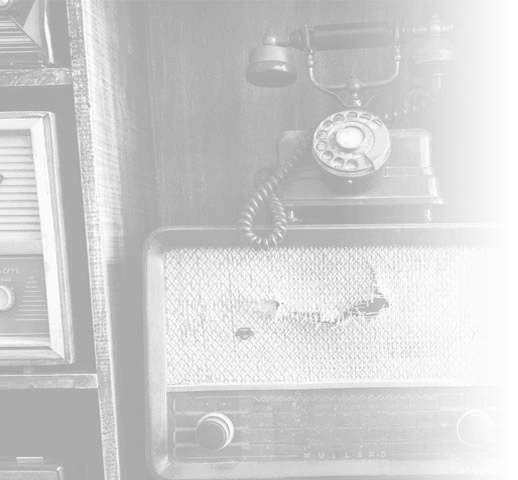 Feel free to send your queries to info@vertical-leap.uk and we’ll be more than happy to answer them. We’d love to hear from you. 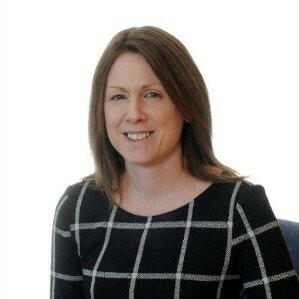 Michelle joined Vertical Leap’s Portsmouth office in 2011 as Marketing Manager, having spent the previous 15 years of her marketing career in the recruitment, leisure and printing industries. Her passions include yoga, swimming, walking, the beach, mountains and nice food. The pressure to prove to your boss that content marketing is worth the investment is higher than ever, we take a look at how you can do that.